Activation LG for Z3x Box allows you to activate LG support on Z3x Box - supported variety models of phones. Activation Z3x Samsung PRO it's old Samsung type activation that now get's name Samsung PRO and it's deciated for Z3x Box users to support Samsung phones. Unique solution for Samsugn series that allows only in world fast/easy language update as Russian, Polish, Bulgarian for Zxxx series as well as service all other Samsugn phones. 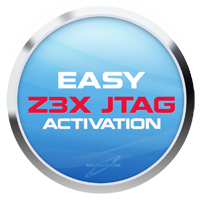 Samsung PRO activation for Z3X Samsung users allows all users who bought Z3x Box before 20/07/2014 to use leatest updates (starting from v21.0) and support from Z3x Team. This is a ONE TIME ACTIVATION, it is not an Anual activation that will need activating every year. Z3x Qualcomm Unlock credits enable you to unlock the latest Samsung phones by reading the unlock codes from phone safely and quickly - without the need to root (void KNOX flag) and risk of bootloop. 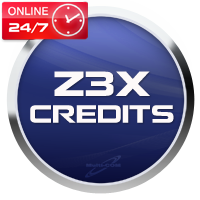 Just run ADB and click Read Codes in the latest Z3x software.